"You can hear he is experienced in singing, it is if you are listening to U2 or David Bowie. I am so impressed, this is world class rock and rock and he sure does have the appearances for a rock and roll singer"
Charlie then made the move to London following the break up of Berlin where he began writing and recording new material. During this time, his friend Mathew Ashman from Adam and The Ants and Bow Wow Wow brought him into the studio and produced and played guitar on his first self-composed recording “Move On” After taking a break from the music industry, Charlie made a return in 2010 as a solo artist when he supported The Boomtown Rats Roberts+Crowe on a European Tour. After the tour, the first album Exile was recorded with various guest musicians inc Garry Roberts from The Boomtown Rats. 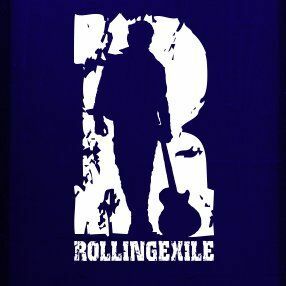 A band was assembled to tour and promote the album, this was the birth of Rollingexile. The release of the second Rollingexile album HARDLINE dedicated to Phil Lynott is being toured in Europe and the USA Throughout 2017 and is expected to increase their profile even further.